Chicago experienced an extremely violent weekend, followed by a violent Halloween. Citywide, there were more than 19 shootings and two deaths between Monday afternoon and the early morning hours on Tuesday. Sadly, two of them were in Uptown. Many residents expressed their frustrations with 9-1-1, either with the long wait times for the OEMC (Office of Emergency Management & Communications) operators to pick up, or with the treatment they received when speaking to the call-takers (who are not the police, but talk to CPD dispatchers in real time). Please continue to call. 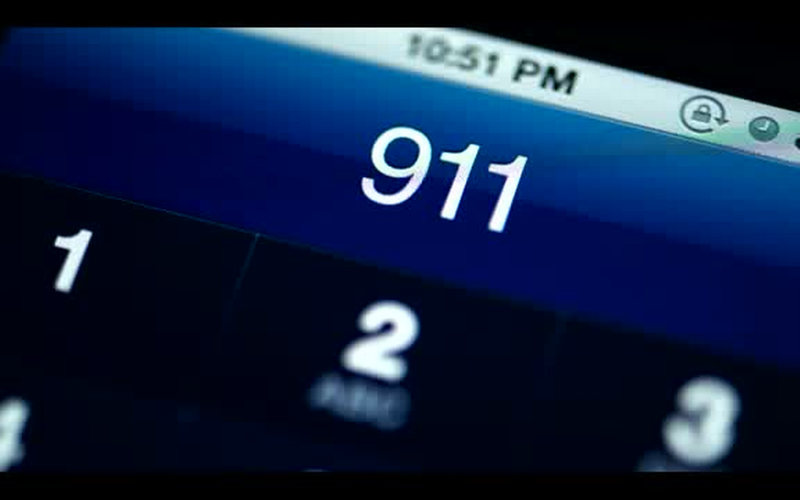 The first thing the city looks at when figuring out how to address issues that are brought to them or when distributing police resources is the number of 9-1-1 calls. Forget that old training that you should call 9-1-1 only in the case of an emergency. The police themselves will tell you, If you see a situation where the presence of an officer will have an effect, call 9-1-1. Don't wait for it to turn into an emergency situation. If there is a long wait time, it probably means the OEMC call center is getting clobbered with calls. That's good. There are certainly staffing issues as well, but when things are relatively quiet, they pick up within a few rings. When lots of people are calling at the same time, the wait times are longer. "One thing that we've been told to pass along to residents is that if for whatever reason you're encountering problems with a call taker, you can either hang up and you'll get a new person when you call back or immediately ask for a supervisor. They are required to get a supervisor. Additionally, if you feel the need to hang up and call back, you can ask for a supervisor and describe the previous call and they'll be able to look you phone number up to match it to whoever took your call previously." The reader adds: "Whereas this is a bandaid fix of the issue that they have in the switchboard center and may be okay in the short term, it really just indicates that they need more management to review quality of calls and ensure training to those whom are not being diligent to get the details and do their jobs correctly." I've also heard that if you mention that a senior citizen is being victimized you'll get a better response. Cops in Chicago, have the hardest job in the country. They know the alderman and mayor aren't supporting them and if they happen to step out of line. They lose everything, why not hold the Alderman and Mayor to the same requirments. Hell look at the Alderman crying they couldn't get Cubs tickets, but expect everyone else to pay the high price. GET RID OF CORRUPTION STARTS WITH THE MAYOR AND ALDERMAN. I did call 911 on Halloween night when, after having just arrived home, there were 8 or 9 shots fired (as it turned out, on my very block) and NO ONE EVER PICKED UP. Living in Uptown, I regularly call 911, but it was disconcerting to not get an answer. I let it ring while I checked the online police scanner and when I heard other similar reports to mine, I hung up. Apparently, the line had been ringing for 4 minutes. Brenda,you have to realize that 911 wont always be there to help. As crazy as this sounds its true. They get swamped with calls. And when you do get through there might not be officers to dispatch. The manpower shortage is critical. And with the estimated police retirements comming up hiring 1000 officers will barely make a dent.come jan 17 there will be hundreds of officers reaching their 20 year mark.cops dont want to do more than 20years in this climate anymore.health benifits are being eliminated for retirees in jan 17. But the city has a deal if ur 55 with 20 years on you can retire and healthcare will be paid until you go on medicare.cops are jumping on that deal in droves.so any new hires will just replace retirees with no benifit to manpower. My original point was/is get yourself a conceal /carry permit and enroll in the instuctional class to learn about a firearm. You dont have to carry it around but,at least you could have something in your residence to protect you and,your loved ones,god forbid. Its better to have protection on hand at the ready than,being on the phone with a police dispatcher waiting for police response.